(Literally) everything you need to know about the Philippine Social Security System (SSS). If you’re reading this, you probably have a question or two regarding your SSS membership. You’re in luck because this massive guide from Grit.PH compiled all relevant and oft-asked questions our fellow Pinoys have about the SSS. It’s all in here, your complete and neat handy SSS-wiki. 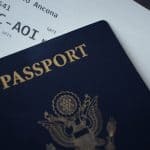 Questions like, “How do I benefit from the SSS?, How to apply? What are the requirements? – these and more including actual step-by-step guides of some of the most common processes are covered here, for your convenience. Ready to boost your SSS-I.Q? Let’s get right to it! 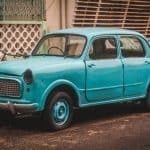 Why is SSS important for retirement? How to apply for death benefit? 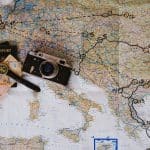 How to apply for Funeral benefit? How and when should you submit your kasambahay’s SSS contribution? 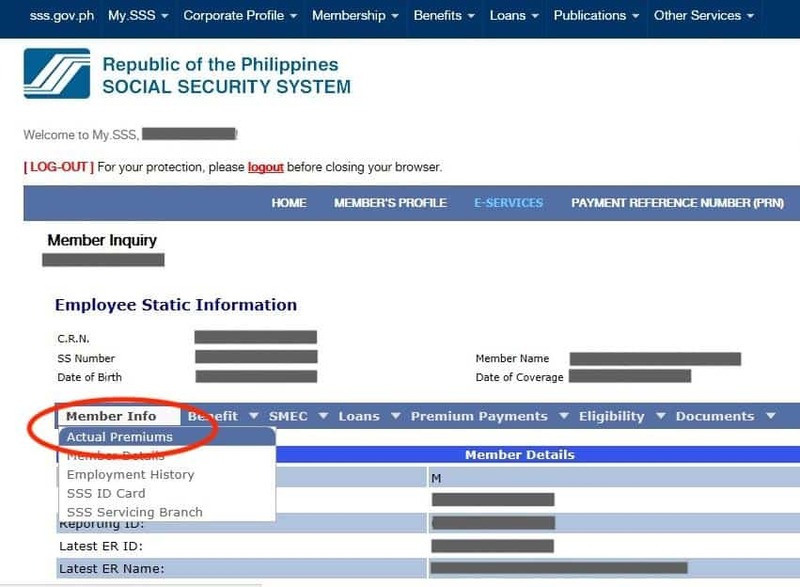 How to know your SSS number? The Philippine Social Security System (SSS) has been serving as the social insurance program for employees in the Philippines for 61 years. SSS is a government agency that provides retirement and other benefits to all registered employees in the country. Retirement is something everyone looks forward to—the culmination of work life and the commencement of a relaxed and generally slower pace of living. But in order to have a relaxed life, you must have a pension to allow you such a lifestyle. When you do decide to retire, you are eligible to receive a pension from SSS as long as you have been paying your contributions for at least 120 months. You will receive this pension on a monthly basis until you pass on. The amount of your pension will depend on the amounts of months you contributed. If you weren’t able to accomplish a 120-month contribution, you can still receive a lump-sum amount that is calculated based on how much your employer has paid during the time you have been registered, with added interest. 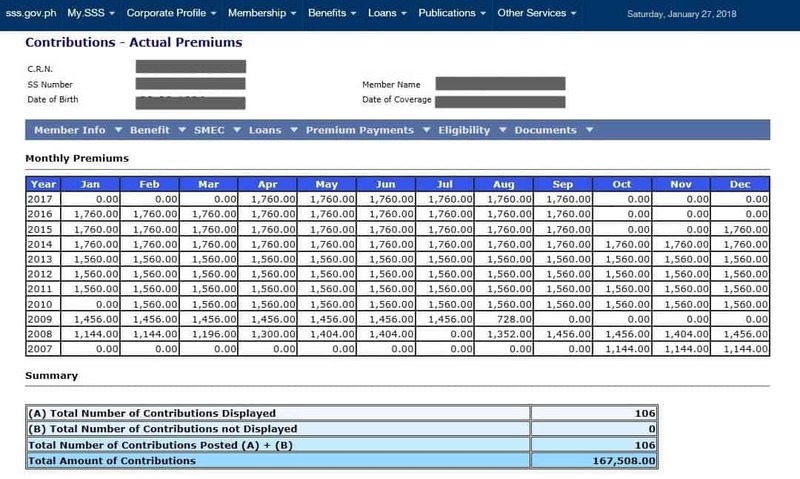 The Personal Equity and Savings Option (P.E.S.O.) Fund is an optional savings/investment scheme allows you to earn a higher pension by paying a higher monthly contribution than the normal SSS contribution. All SSS members are automatically covered by the Employees’ Compensation (EC) program. Your employer pays the monthly EC contributions (PHP 10 or PHP 30) on your behalf during your employment with the company giving you automatic benefits like work-related sickness, injury, or disability relief benefits. This benefit allows you to receive cash compensation if you paid for the funeral expenses of a deceased SSS member. If you have a disability, you are entitled to this benefit either as a monthly or lump sum payment. SSS provides a sickness relief benefit if you miss work due to an illness. You’ll receive compensation per day missed. If you’re the beneficiary of an SSS member that has passed away, you can receive a monthly pension or lump sum. SSS gives you daily cash allowance if you are not able to work because you’ve recently given birth either natural or C-section. The SSS salary loan provides you with a short-term salary loan if you’re in need of quick cash. All SSS members are entitled to retirement benefits either as a pension or lump sum payment. There are two ways of obtaining your SSS number for the first time, physically and online. Once you get your SSS number it is yours for life, so you only have to do this process once and you should memorize it ASAP. The first method is done physically. You must fill up the Personal Record (SS Form E-1) form and submit it with the original/certified true copy and photocopy of any of the primary or any two (2) of the secondary documents listed below. At least one should have a photo and your date of birth for the secondary documents. If you’re securing an SSS number as a surviving spouse or guardian aged 60 and above for the Annual Confirmation of Pensioners (ACOP) program, you can submit any of the secondary documents with a recent picture and age. You should also submit your marriage contract when registering – if you’re married. If reporting legitimate children then you must provide their birth or baptismal certificates; for legitimate children, the birth certificate must include the annotation “legitimated;” if reporting legally adopted children, please provide the decree of adoption. If you are reporting an illegitimate child, provide their birth or baptismal certificates. You can also present any of the following documents that can prove the relationship of the reported dependency (if you don’t have either birth or baptismal certificates). 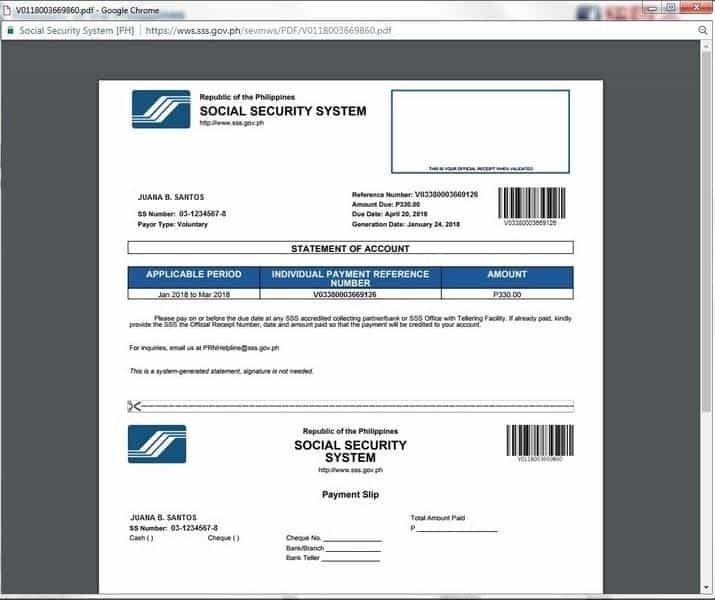 All documents should be presented in their original or certified copies for SSS authentication. Go to the SSS website. Complete the online form and submit. 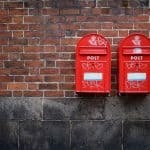 Once you submit the form, a link will be sent to your email. Click on the link and fill out the next form. Complete the form and your SSS number will be created. After you click “Generate SS Number”, you will see the option to print your ePersonal Record and SS Number Slip, which also will be sent to your email. Print the Personal Record Form, SS Number Slip, and SSS Number Application Confirmation email and bring these to the nearest SSS branch along with the required documents. 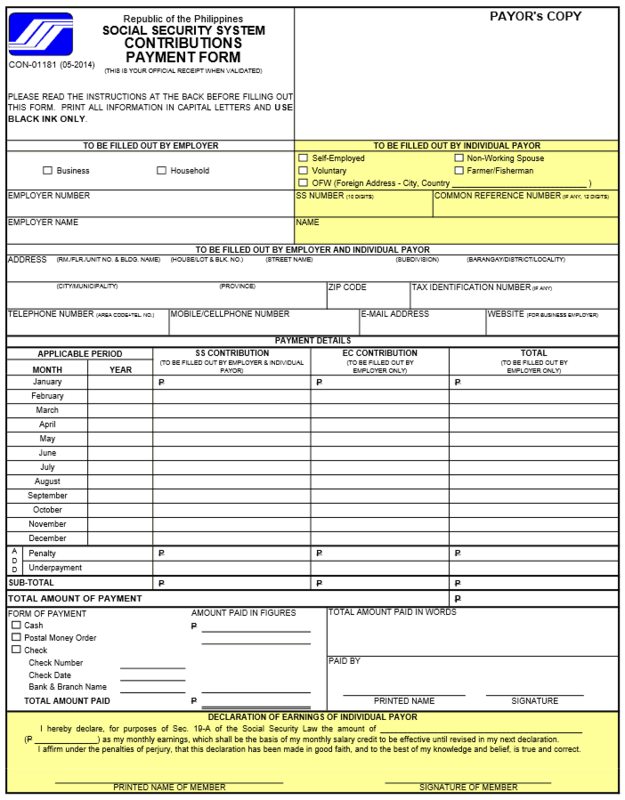 Birth or baptismal certificate or passport for correction of name and date of birth. If you can’t provide any of those three documents for change of name and birth date, you must show the Certificate of Loss or Non-availability verified by the Local Civil Registrar and Parish of your place of birth. If the amendment is for a complete name change, provide a Joint Affidavit of two (2) persons who personally know you, your use of the two different names, and can attest that both belong to you. For authentication please provide the original or certified true copies of these documents. 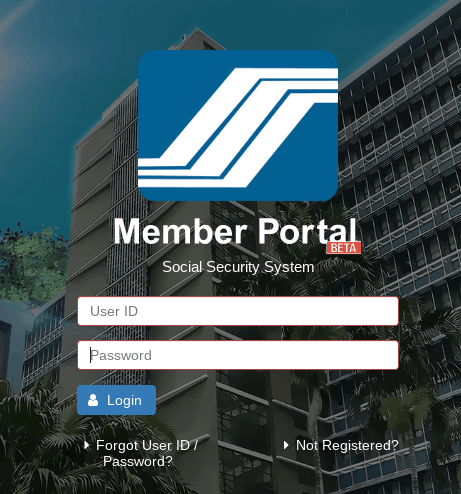 The SSS launched its latest member online registration portal on its official website. Prior to this update, members were required to sign up for access via the SSS Online Member User ID Registration page. Now, members who wish to access their SSS account information and tools online can simply go and visit this page to register. As I already have an existing SSS online account (apparently), I tried to log in but had to request for a password reset first as I can’t remember what I used before. Also, I realized that while the password reset option is fast (they’ll send you an email right away so you can reset it), the username retrieval is a hassle since you have to know your employer’s SSS ID. I ended up having to email their support department (onlineserviceassistance@sss.gov.ph) to request that they provide me with my username (or an option to reset it). Until now I still haven’t received a reply. That issue aside, here’s the list of things you can do when you activate your SSS Online access. You must always provide the original copies of the documents and IDs for verification purposes. Don’t worry, the SSS staff will not keep them. You must also fill up the E-6 Form that you can ask the clerk for, once you arrive at the office. Depending on the branch, this may be a lengthy process. Prepare yourself to wait around 4 hours or more. Best time to arrive at 6 am so you can finish by 10 am. The ID Clearance indicates your schedule for your ID capture. This process usually takes about 2 to 3 days, because once you submit the E-6 Form, you will be scheduled for ID capture in the following days. The earlier you arrive the quicker you will finish. In most offices, the guard will provide you with a queue number for ID capture. Groups are divided into 20s, according to schedule. If you’re late, they can’t guarantee you will be served on time. Unlike the submission of the E-6 Form, the ID capture is fairly quick. The SSS staff will take your personal data (fingerprints, signature, facial images, and 4-digit pin number). You will receive your SSS ID a month after your ID capture, at the address you specified on your registration. If you have not received your ID after a month, approach your nearest SSS branch office and present your 4-digit PIN Number for verification. What’s an SSS Loan and who are entitled to get it? The SSS salary loan is a cash loan that can be availed by all SSS members when in need of short-term credit. This loan has a 10% interest rate per year, and the extension of the loan payments will be determined by the amount of time you’ve have been an active contributor. You may renew the loan if you have paid off at least 50% of your original loan. Loans can be availed by local and overseas contributors. SSS members living abroad can also apply at SSS offices overseas. Should there be no SSS office in their country of employment, applications may be sent to relatives in the Philippines with authorization for them to file. Take note that documents issued in any country overseas should be authenticated or certified by the Philippine Consulate Embassy. The loan is equivalent to one month’s or two months’ worth of your salary after making at least 36 months total contributions, and 6 months of contributions in the last twelve months. In the case of a two-month salary loan, there need to be at least 72 months of posted contributions and 6 months of contributions in the last twelve months. In order to apply, you need your SSS ID or E-6 form and two valid photo IDs. You can apply online at the official SSS website, through the E-Service tab which will give you a confirmation email and transaction number. OFW members may apply at an SSS Foreign Representative Offices. It will take between two or three weeks for the loan to be assessed and/or approved. For employees, their checks will be sent to their employers. For OFWs and self-employed members, they will be notified when their checks are ready at the SSS branch. The checks are issued by the Philippine National Bank and may be encashed at any PNB branch with two valid IDs with picture and signature. There is a 1% service charge taken directly from your loan. If you’re an SSS member, you can avail of a pension when you reach the age of 60 or more. The pension you will receive is determined by the amount of time and payments made to the system. Lump sum amount – granted to a retiree who has not paid the required 120 monthly contributions. It is equal to the total contributions paid by the member and by the employer including interest. 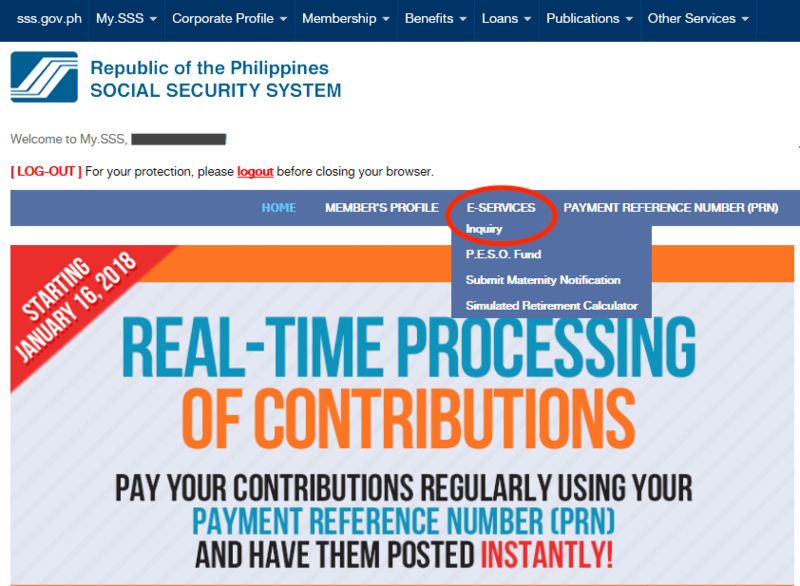 There are three ways to compute SSS pension in the Philippines, these are based on the information available on the SSS website. P1,200, if the CYS is at least 10 but less than 20; or P2,400, if the CYS is 20 or more. For a thorough guide on how to apply, file and collect your pension you can visit the SSS Retirement Guidebook. The monthly disability pension you will receive ranges from P1,000 to P2,400, and is determined by the duration of your contributions. You will also receive an additional P500 per month as a supplemental allowance. You must have been active for at least one month before the semester in which you apply for the benefit. If you have paid contributions for more than 3 years, you’re entitled to a monthly disability pension. If you have been active for under three years, you will receive a lump sum amount. To apply, first, you will need to prepare the following requirements and documents, and bring them to your nearest SSS branch to start the application procedure. Disability Claim Application is an application form needed to be filled out in order to notify the SSS that a disability had recently occurred. 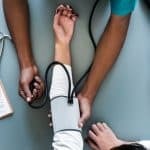 Other documents that may be required in order to support your disability claim or as proof that you really are suffering a disability such as x-ray, laboratory tests, hospital records, etc. Photocopy of either passbook or ATM card with validated deposit slip or cash card enrollment form. Physical examination report describing manifestation, signed by the attending physician (only applicable for overseas applicants). After preparing ALL the documents needed, you may now carry them to your local SSS office branch and from there, the teller will guide you on how to file for the application. The amount of monthly pension will be based on the member’s number of paid contributions and the years of membership prior to the semester of contingency. Applications for disability benefit are filed at any SSS branch or representative office. The minimum monthly pension is P1,000 for members with less than ten (10) credited years of service (CYS); P1,200 with at least ten (10) CYS and, P2,400 with at least twenty (20) CYS. The pension will be paid directly to your registered bank account. Your daily allowance is equivalent to 90% of your average daily salary credit. You have to be confined at home or in a hospital for more than 96 hours, and not have more work sick leaves left. You must also have paid at least 90 day’s worth of SSS contributions within the last year. Exclude the semester (six months) in which the sickness occurred and count backwards one year from the month right before the semester of your sickness. The six highest Monthly Salary Credits (MSC) of the year will determine the amount you will receive, with the maximum fee being P16,000 monthly. Continue by dividing the total sum of the six MSC by 180 to get your average daily salary credit, which you will multiply by 90% and get your daily sickness allowance. Lastly, multiply your daily sickness allowance for the amount of days that have been approved for the sickness benefit. For employed SSS members, their employers will advance the amount every payday and they will be reimbursed by the SSS. For non-employed members, they will receive the amount directly in their registered bank account. If you have given birth, you can receive a daily allowance that equals 100% of your daily salary credit. This will be multiplied by 60 days for natural birth or miscarriage, and 78 days if birth is via C-section. First, you must notify your employer and the SSS about your pregnancy and also have paid at least 90 days’ worth of SSS contributions within the last year. You must submit a completed SSS Maternity Notification form with proof of the pregnancy, with photocopies of your UMID or SSS ID plus two valid IDs (both with signature and at least one with DOB and signature). If employed, your employer will directly with the SSS. Photocopies of your UMID or SSS ID plus two valid IDs (both with signature and at least one with DOB and signature). As mentioned, the benefit involves a daily allowance that amounts to 100% of your daily salary credit. This will be multiplied by 60 days for natural birth or miscarriage, and 78 days is birth is via C-section. For employed SSS members, their employers will advance the amount within 30 days of filing, and they will be reimbursed by the SSS. You cannot receive sickness benefit during the duration of the coverage of the maternity benefit. The SSS will only cover the first four births and/or miscarriages. The amount of the death pension you may receive will be around P1,000 to P2,400, depending on how many years you have been active. Your dependent minor children will receive either 10% your monthly pension or P250, depending which is higher. In addition, you will receive a 13th-month pension every December. For funeral benefits, you can receive from P20,000 to P40,000, depending on how long you have been a contributor. To receive the monthly death pension, you must be the primary beneficiary (spouse and dependent kids) of a deceased SSS member that has contributed for at least 3 years. If the deceased member was active for less, you will only receive a lump sum. If no primary beneficiaries exist, then second beneficiaries or dependent parents will receive the lump sum. To be eligible for the funeral benefit, you must have at least one contribution if you’re a voluntary, self-employed, or OFW member. If you’re an employee, you are automatically eligible for this benefit, as long as you are still employed. What are the Requirements for filing a Death Benefit claim? Certified true copy of death certificate of the deceased member, duly registered with the Local Civil Registry and signed by the authorized signatory of the Office of the Civil Registrar, or issued by PSA (formerly, NSO). If death claim was filed by spouse beyond 5 years from the death of death, a written explanation is needed. What are the Requirements for filing a Funeral Benefit claim? Signed authority or conformity of payment in favor of the claimant if the name appearing on the receipt is different from the claimant. Affidavit executed by the plan holder and the memorial plan company wherein the memorial plan holder allowed the transfer of the plan to be used by the deceased SSS member. Marine protest and passenger’s manifest for member passenger who died in a sea mishap without recovering the body. Marine protest and quit claim authenticated by employer for member seaman who died in a sea mishap without recovering the body. Prepare complete requirements as stated above. If the requirements are incomplete or incorrect, your benefit application may not be received, or may be delayed in processing. Make sure to accomplish Contact Information and Address correctly and legibly. The SSS contacts the beneficiaries for the status of their benefits application especially when additional documentations or process are necessary. Go to the nearest SSS Branch and secure your queue number. Go early to avoid long lines. Once your number is called, go to the SSS Representative window and they will perform initial evaluation on your claim and requirements. Once application is received, wait for the SSS to contact you. SSS Death Benefit processing ranges from 10-45 days depending on the complexity of the case. This processing time is based on the experience of other SSS members who filed a death benefit. You may check the status of your benefit claim by logging in to the SSS member’s online account (should you know his/her online credentials). If after two weeks, you haven’t heard from SSS, go back to the SSS branch and inquire for the status of your claim. Upon approval of the claim, the SSS will mail a notice voucher to the beneficiary informing him/her when to withdraw the benefit from the bank. Present the necessary documents listed above to your closest SSS branch. The monthly death pension depends on the member’s paid contributions, including the CYS and the number of dependent minor children, which should not exceed five (5). P1,000 if the member had less than ten (10) CYS; P1,200 if with at least ten (10) CYS; or P2,400 if with at least twenty (20) CYS. pension benefits under the “SSS Pensioner’s Remittance thru Bank” Program. The Funeral benefit is calculated using the fixed amount of P20,000 plus a percentage of a member’s total contributions and average monthly salary credit (AMSC). Before finding out when SSS contributions need to be made and payment facility options, you first need to know how much you are required to pay. 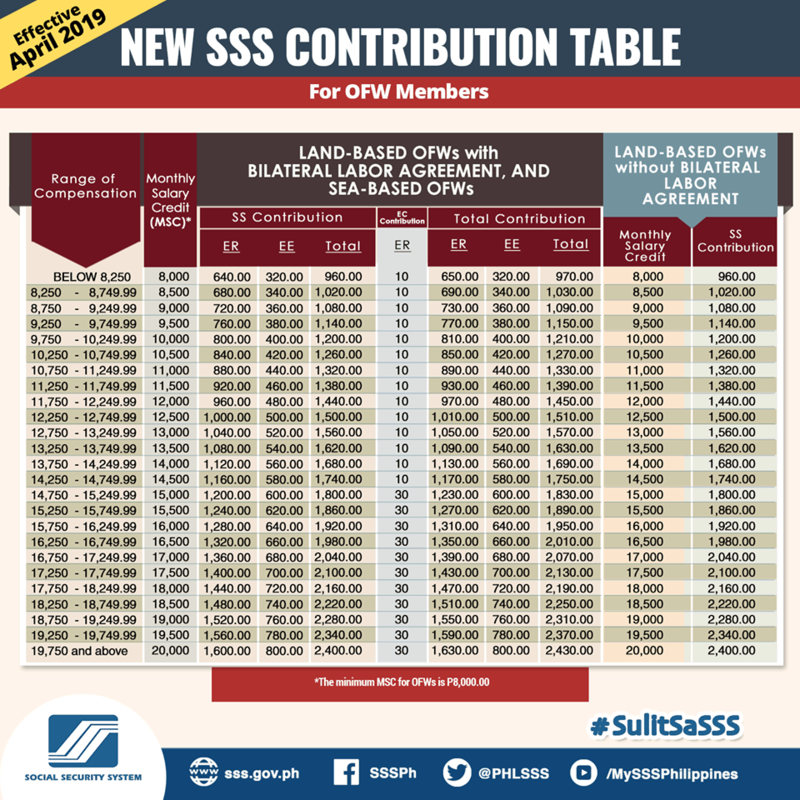 Below is the 2018 SSS Contribution Table that can help you figure out how much your contributions should be based on your salary either as a regular employee or independent member (either self-employed, voluntary member or OFW). 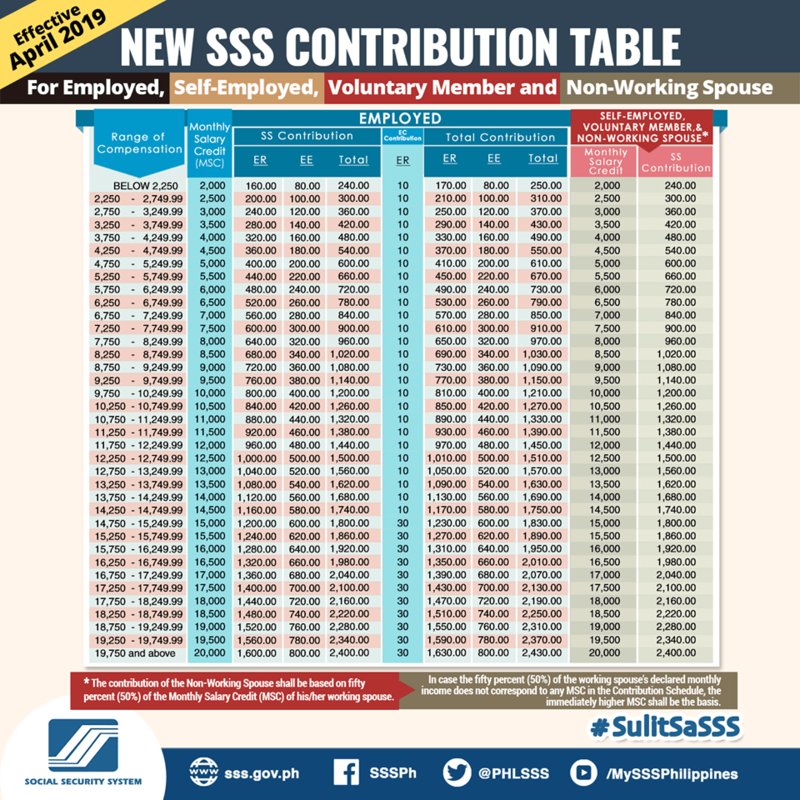 Effective 2019, the SSS will be implementing the following contribution table for its Employed, Self-Employed, Voluntary and Non-Working Spouse members. And here’s the new SSS contribution table for OFWs. If employed, look at your salary’s EE column under the ‘Social Security’ column. This amount should be the SSS deduction indicated on your monthly pay slip. On the left side of the EE column referred to above, is the ER column that indicates amount of your employer’s contribution. This amount plus the corresponding amount on the EC column is your employer’s total contribution. For self-employed, voluntary and OFW members, refer to ‘SE/ VM/ OFW Total Contribution’ column (rightmost) to determine your monthly contribution. The photo below indicates payment schedule for both regular and self-employed/ voluntary members (except OFWs). The schedule is based on the 10th or last digit of your SS number that has been assigned to a corresponding day of the month. It is highly important that you take not of your payment deadline to avoid penalties or delays in processing any benefit or loan applied for. For self-employed and voluntary members, payment can be made on a monthly or quarterly basis (month ending on the last day of March, June, September and December). There are a variety of payment options and facilities to make SSS payments. 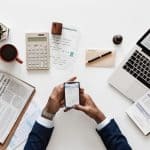 For employed members, these are usually done through an automatically deducted amount, payment of which is through your company’s finance department’s chosen payment method. For self-employed, voluntary and OFW members, payments can be made over the counter or online. You can also pay your SSS contributions and loan payments through Bancnet, UnionBank and Coins.ph. Step 1: Log on to the website of BancNet. Step 2: If you haven’t registered, go to their new user Registration Page first and accomplish the online sign-up. Step 3: Select the bank of your ATM card and click ‘I Agree’ on the terms and conditions provided. 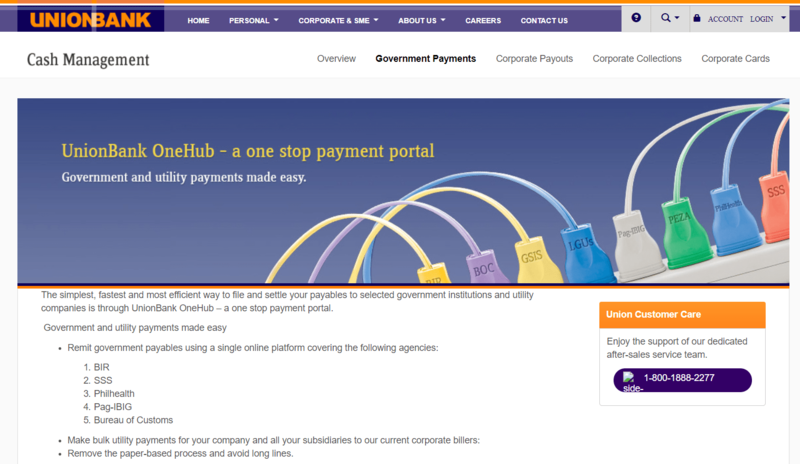 Step 4: Click ‘Payments’, then your preferred institution which is SSS. Step 5: Input your SSS number together with the month and year, followed by your ATM card number. Step 6: Select your account type—whether Savings or Current. Step 1: Log in your account on the website of UnionBank. If you don’t have an account yet, click the sign-up button below the log-in fields so you can create your account online. Step 2: Click the Bills page and select SSS as the transaction. 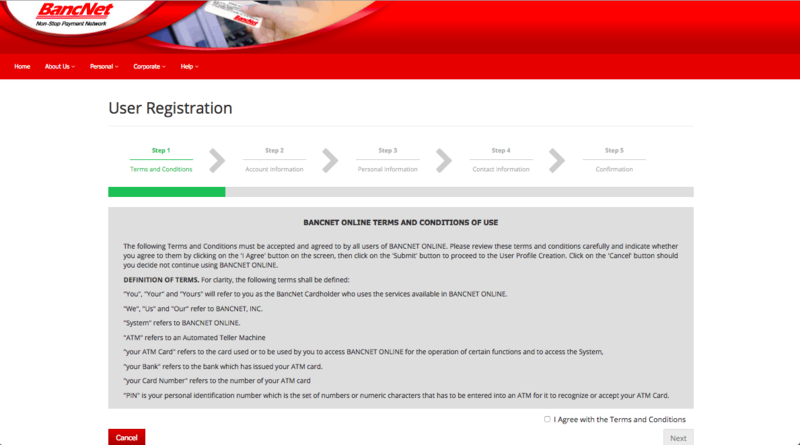 Step 4: Enter your log-in details once more and wait until your electronic receipt is generated. For safety and convenience, save your electronic receipts. Step 1: Download the coins.ph application via Google Play Store or the Apple App Store and create an account. Put cash into your digital wallet through any of these cash in methods. Step 2: Go to the landing page and from the list of categories, select ‘Pay Bills’ and select SSS ‘Contributions’ as bill type. 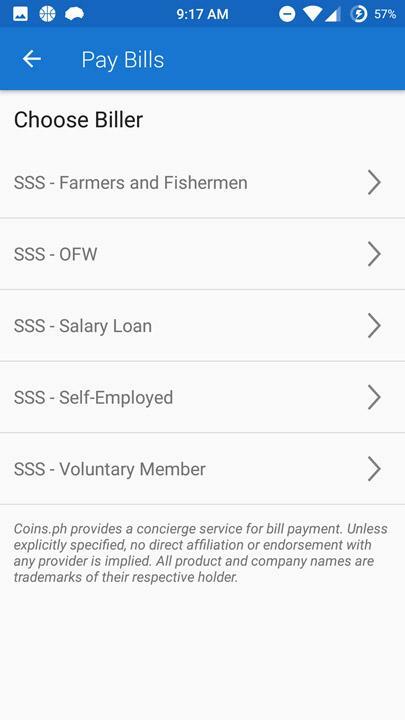 Step 3: Next, choose the type of contribution you wish to make, whether you fall under the: Farmers and Fishermen, OFW, Salary Loan, Self-Employed or Voluntary Member category. Step 4: Next, input the payment amount. There are no hidden charges or processing fees. The amount you place will be the amount received by SSS. As discussed above, you don’t need to be regularly employed to become an SSS member. Voluntary-paying and OFW members can sign-up, regularly contribute and avail of its benefits. 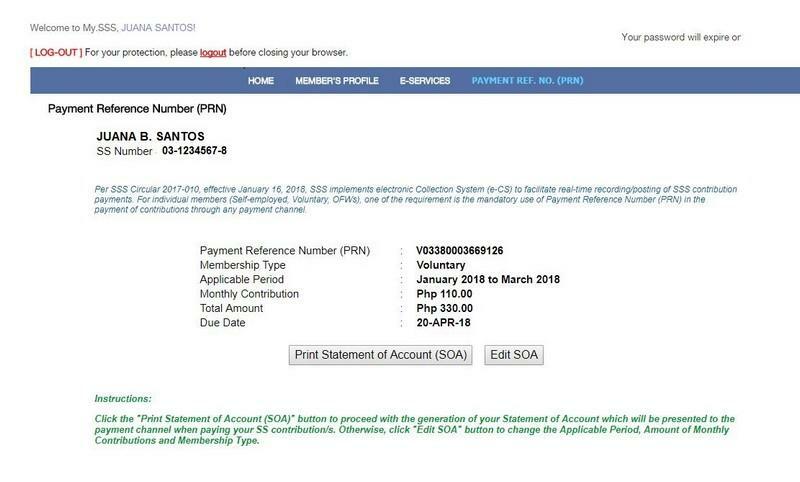 Starting January 16, 2018, SSS has required its members to use a Payment Reference Number (PRN) upon payment of contribution for real-time posting of the payment. 1. Log-in to your My.SSS account. 3. Based on your previous contribution amount, you will be able to view your Payment Reference Number for the Applicable Month, and your payable amount. 5. Print the file and present this to the SSS Teller at your chosen payment facility. 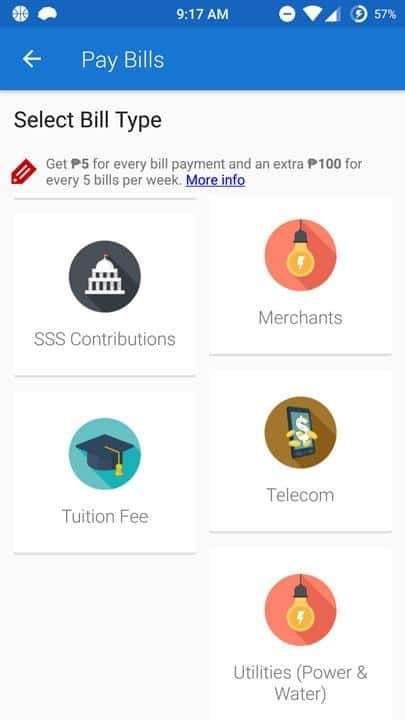 To compute for your contribution amount, please refer to the computation table in the ‘Where, When and How to Pay for SSS Contribution’ section above. The only relevant column is the “SE/VM/OFW Total Contribution” column on the rightmost of the table. If you are an OFW member, kindly refer to the SSS contribution table above to determine the amount you are going to pay. For any salary above P 16,000 the SSS contribution is at P 1,760. 1. For over-the-counter payments, a representative, either a relative or a friend residing in the Philippines to pay the SSS contribution on your behalf at any accredited payment centers. 2. Pay online via BancNet, UnionBank PH or Coins.ph. You can refer to where to pay guide above for further instructions. Any person, natural or juridical, domestic or foreign, who carries on in the Philippines any trade, business, industry, undertaking, or activity of any kind and uses the services of another person who is under his/her orders as regards the employment, except the Government and any of its political subdivisions, branches or instrumentalities, including corporations owned or controlled by the Government. A household employer is one who uses the services of a house helper; whoever pays the compensation for such services – whether the husband, wife or any other person – shall be deemed the household employer. A foreign government or international organization, or its wholly-owned instrumentalities, such as an embassy in the Philippines, with an approved Administrative Agreement with the SSS for the coverage of its Filipino workers. 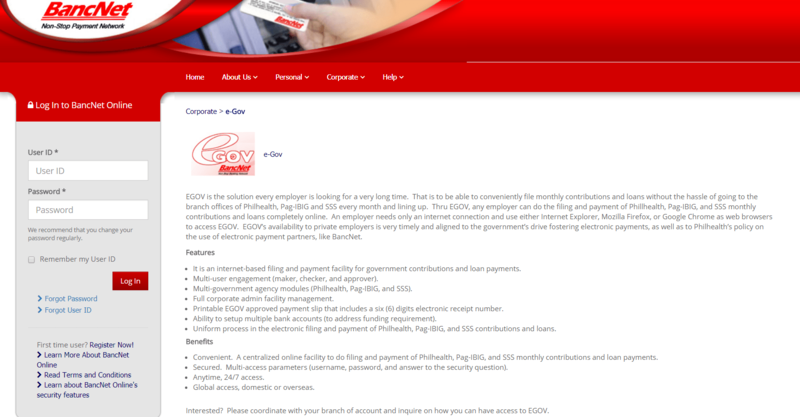 Nowadays, employers can pretty much manage all SSS-related transactions via the My.SSS online employer service. Step 1: Visit the My.SSS online page. 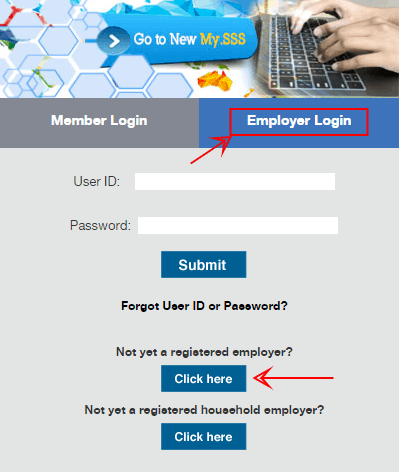 Click “Employer Login” then hit the “Click Here” button below the “Not yet a registered employer?” option. Step 2: Complete all required fields on the succeeding page. Don’t forget to complete the code section before hitting “Submit”. Step 3: Check your email for the confirmation message advising that an account activation email has been sent to your company’s email. Step 4: Upon receipt of the activation email, you’ll see the link that you need to click to verify your My.SSS employer account. The servicing SSS branch will do the necessary checking and verification of the information you provided. If everything is accurate and complete, they will send you an email containing the login credentials so you can log in on the Employer section of My.SSS portal. As an employer, it is your obligation to register your employees under your employer SSS account. If the employee hasn’t registered with SSS yet, then they’ll need to visit the nearest branch to set up their SSS account first. As their employer, you’ll need to submit an updated SSS Form R1A which reflects the SS number of your employee. You have the option of submitting this online (My.SSS) or physically providing the documents in a branch near you. 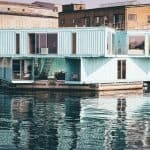 You have to do this within 30 days since the employee’s first day at work. The SSS defines a “household employer” as someone who is using the services of a kasambahay (defined by SSS as someone who does housework for a living). The kasambahay will have to complete the PPS-KUR form while you as the employer will need to complete PPS-HEUR1 and PPS-HEUR2 forms. Note that once you are registered as a household employer, you can sign up for online access by completing the Online Household Employer User ID Registration page on the SSS website. You can do this via the same My.SSS page on the official website. Once you’re logged in as the employer, access the page that contains “Contribution Collection List Summary”. Once there, click on “Contribution List Details” to change the employee’s salary/contribution. To submit your kasambahay’s monthly contribution, you can either do it via the My.SSS page online or by completing 3 copies of the Employer Contribution Payment Return (SSS Form R-5) which you can get from the nearest branch or download via the SSS website. Visit the SSS website (My.SSS). Make sure to click on the “Employer” tab. Enter your username and password. Once logged in, select e-Services then click “AMS Billing”. In the AMS Contribution List page, click “Confirm Contribution Collection List”. Select option 1 “Select Records from the SSS list” on the Build up page. Click “Add Record” and proceed to enter the necessary employee information. Click “Confirm List” once done. After reviewing for accuracy, click the agreement box and then hit “Submit”. Click “Prepare Collection List” to finalize the contribution statement for all employees. Click “Download” then choose to either Download or Email (or both) the collection list. Print the contribution statement summary. This is what you will use for payment via tellers and other payment partners. 3. Go to the ‘Contributions – Actual Premiums page and on the ‘Member Inquiry’ page, click the Member Info bar and then click on Actual Premiums. 4. On the Actual Premiums page, all your monthly contributions paid since the year you started as an SSS member will be listed. One of the most common inquiries with regards to SSS in general (both for employers and employees) is this: How can I know my SSS number? Simply proceed to your company’s HR department to inquire about your SSS number. 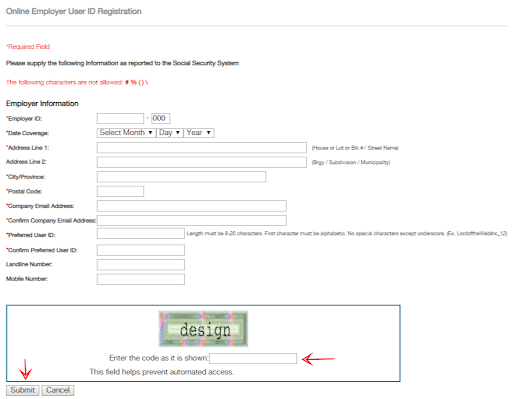 Your SSS E1 form has a section on it showing your SSS number. Check the upper left corner. There are over 30 SSS branches nationwide to make transactions more convenient. Below is a list of satellite offices in NCR, Luzon, Visayas, and Mindanao. Main office locations may also be searched on the SSS website’s branch locator. the link for online sss registration in no longer valid. pls check? 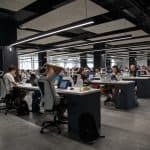 Hi, I cannot edit my employees contribution online as employer, what to do? Hi. I don’t have an SSS account yet so I tried opening online. When I filled up my name, birthdate, and email address, it told me that I will receive a link on my email. It’s been more than 12 hours and I haven’t received anything yet. What could have been the problem? I already sent an email to SSS about this but I haven’t gotten a reply yet. Has anybody else encountered the same problem? Will it take a while to receive the link? No SSS, Philhealth and Pag-ibig number? Need a government ID’s?, etc. We are here to assist you. Email us at mjsd.governmentcontribution@gmail. com. Tara usap tayo! Hello! 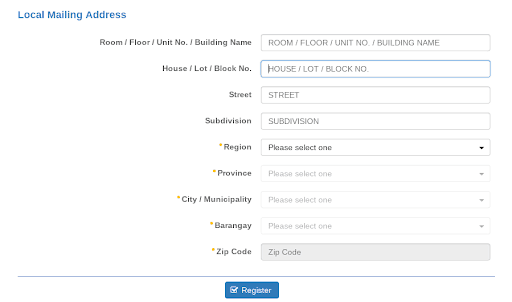 Do you know if I can change my SSS status to voluntary via online?